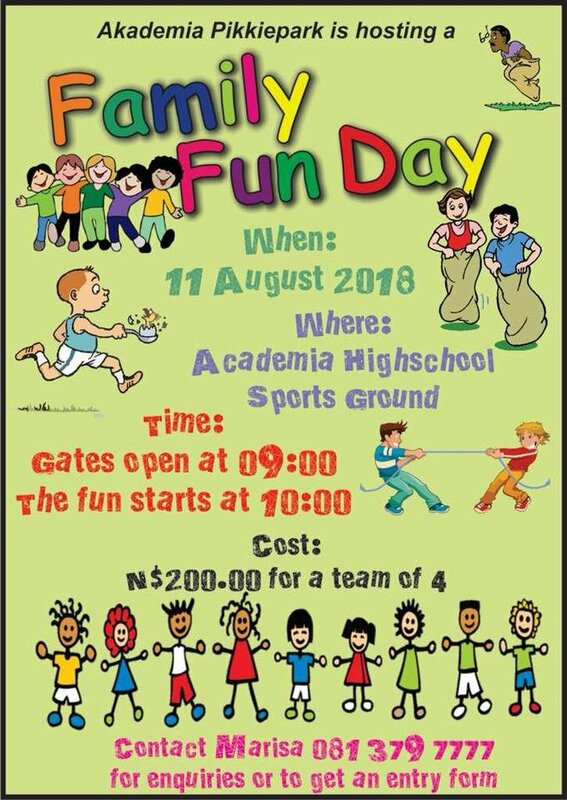 Akademia Pikkiepark is hosting a Family Fun Day for young and old. Everybody welcome to enter. Teams must consist of 4 members, 2 men & 2 women and 2 children (1 child for each couple). Costs are N$200.00 per team. For more info please contact Marisa at +264 81 379 7777. Closing date for entries is 6 August 2018.